Central and peripheral theory contiguous to associated working mechanisms of structured mindfulness intervention for the treatment of ADHD, are explored. Neurological/neuroanatomical alterations in brain structure and organization infer implications with attentional deficits. Conversely, amelioration in the hyperactivity/impulsivity domain is linked to optimization of pertinent neuroendocrine/neurohormonal regulatory mechanisms. Neurochemical alteration to adrenergic system metabolism and activity, associated with norepinephrine neurotransmission in mindfulness treatment of ADHD, is presently advocated. Less support is available for dopaminergic pathway clinical action. Connectedly, the scope to target sensory-visceral “bottom-up” signalling concomitant to enhanced cortical control in “top-down” neural circuitry has preliminary support. Rigorous and standardized studies remain necessary for this emerging translational field. For now, direct and indirect evidence presents mindfulness intervention as a polymorphic treatment pathway with the possibility for clinical action on neuroanatomical, neurochemical, neurohormonal, neurocognitive, and neuropsychological dimensions, within ADHD. Zylowska L, Ackerman DL, Yang MH, Futrell JL, Horton NL, Hale TS, et al. 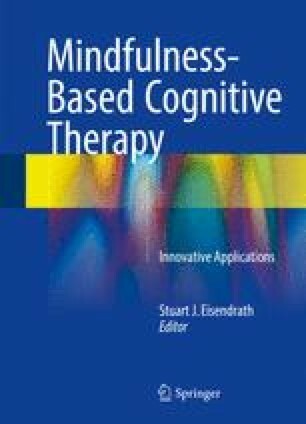 Mindfulness meditation training in adults and adolescents with ADHD: a feasibility study. J Atten Disord. 2008;11:737–46. doi: 10.1177/1087054707308502. Britton W, Lindahl J, and colleagues. http://cheetahhouse.org. Accessed 31 July 2015.